Jo Till is Commercial Manager at Monmore Green Stadium, part of Ladbrokes Coral Group. 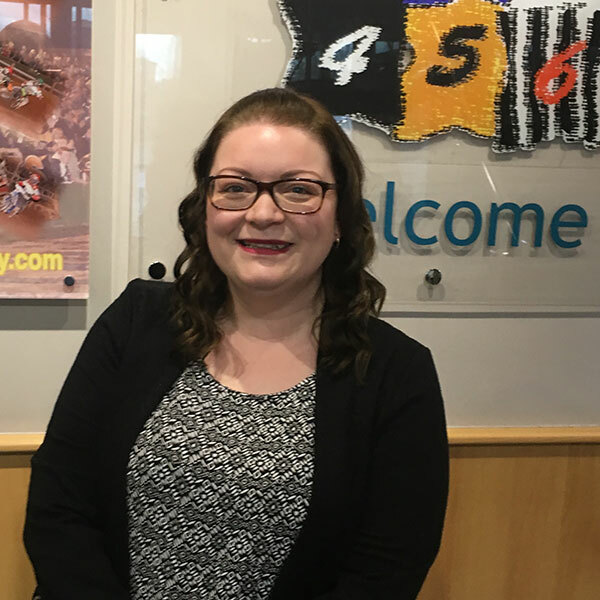 She recently started studying for a Chartered Manager Degree Apprenticeship with the University of Wolverhampton, alongside her full-time role. The apprenticeship levy helps employers support colleagues to achieve qualifications across a range of focuses from GCSE equivalent (level 2) to degree level (level 6). Apprentices can be between 18 - 64 years old and be new or existing employees. How did you hear about the learning opportunities the apprentice levy could fund? I had been speaking to my line manager for a while about what management training I could do and he enquired on my behalf to see what was available. I was surprised to learn I could do an apprenticeship - I had presumed this was something that was only available to school leavers. How did you decide what you wanted to study and what university to study with? My background is in Marketing but I was looking for broader business management training to help bridge my skill gap. In a truly strange turn of events we had a trade stand at a local business festival to promote the Stadium – the lady at the booth next to us came over to get some information for a team night out… that lady was there promoting the Chartered Manager Degree Apprenticeships course at the University of Wolverhampton so she started to tell me all about it. The course sounded too good to be true – it was exactly what I was looking for and even better it was local to me, talk about being in the right place at the right time! What do you hope to gain from the qualification? At the end of the degree my main aim is to be a better manager. I have already learnt new things I can put into practice at work and I look forward to this continuing. I will also have Chartered Manager status and a BA (Hons) Business Management degree. How has it been balancing your learning with the day job? It’s most definitely been a challenge! I haven’t studied for 20 years so the initial assignments were a shock to the system. Thankfully my line manager and team have been incredibly supportive and I’m finally getting into the swing of things. I’m now making sure I take the time away from my job to concentrate on the studying side. Have there been the highlights so far? I have already made friends on the course that I am looking forward to going on this journey with! It’s great that we are all in the same boat – balancing studying with work and home life. I feel I am definitely in a better place now to study having the prior work experience to back up the theory side of the learning. Another bonus is my fellow students have already planned a night out at Monmore Green so it’s definitely helping my sales figures! What advice would you give to anyone considering becoming a 'learner' alongside their role?